Nothing can replace the unique skills of aviation staff, but these apps for cabin crew undoubtedly make it easier to keep organised and functioning at maximum capacity. 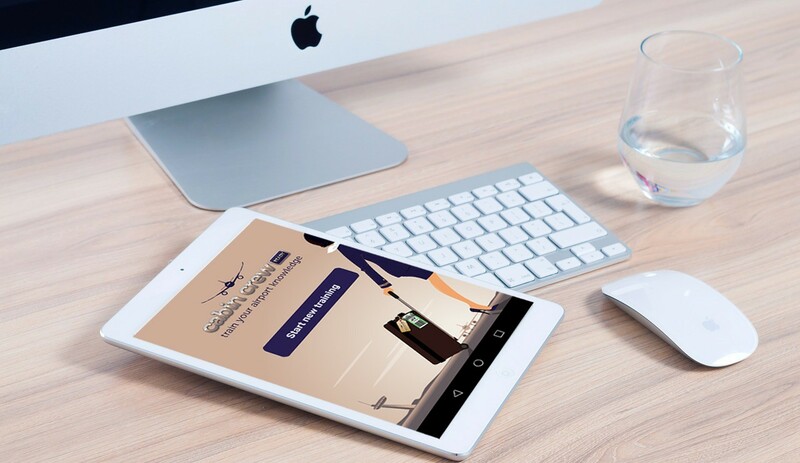 Based on our extensive experience of managing talented cabin crew candidates, we’ve created a list of the most useful apps for cabin crew that you should be trying. What are the handiest apps for cabin crew? You can also keep a convenient log of everything from completed flights, duty hours and job role (e.g. cabin manager) to accommodation, allowances and sick days. Enhance your overall knowledge of all things aviation with Cabin Crew Ready Lite. Share your scores via the app and compare them with others’ in the industry. Convert any global currency instantly with XE Currency App to keep on top of your money management. The app updates regularly with the latest rates. It also stores the most recent rates so that you can use the app offline, whether that’s due to a lack of coverage/signal or the need to save data. Though not strictly an app, IDGateway is an online platform that works across a range of digital devices. Developed to improve application process management in airport ID centres using intuitive digital technology, you can use IDGateway to rapidly and conveniently apply for ID passes at most UK airports (including Heathrow, Birmingham and Edinburgh). Log in and upload documents (or, take a quick photo), then submit them using your mobile device. Receive helpful guidance throughout the entire application process to keep things streamlined, then simply pick up your paper pass from the ID centre. Find out everything you need to know about airport services and status of flights with GateGuru. Input almost any airport code and you’ll gain access to a map that displays all food vendors, shops and other services, complete with user reviews. Or, type in your flight number to learn about the flight status, and receive warnings of potential delays or adverse weather conditions. Keep in touch with your colleagues and arrange meet-ups overseas with Aircrewlink Economy. Set up a profile and log in to see who else is in the city. Chat, plan ahead, organise social events and even meet new people with this industry-focused social media platform. Get to grips with a foreign language using this free and intuitive language learning app. Whether you’re looking to ‘wow’ important passengers or simply get by overseas, this game-like app will give you all the spelling and grammatical basics of 23 languages. Experiment with these apps for cabin crew and see how they could enhance your working practices. Or, take a look at our run-down of the most effective apps for pilots. Get more expert aviation insight and recruitment support by partnering with the expert AeroProfessional team.